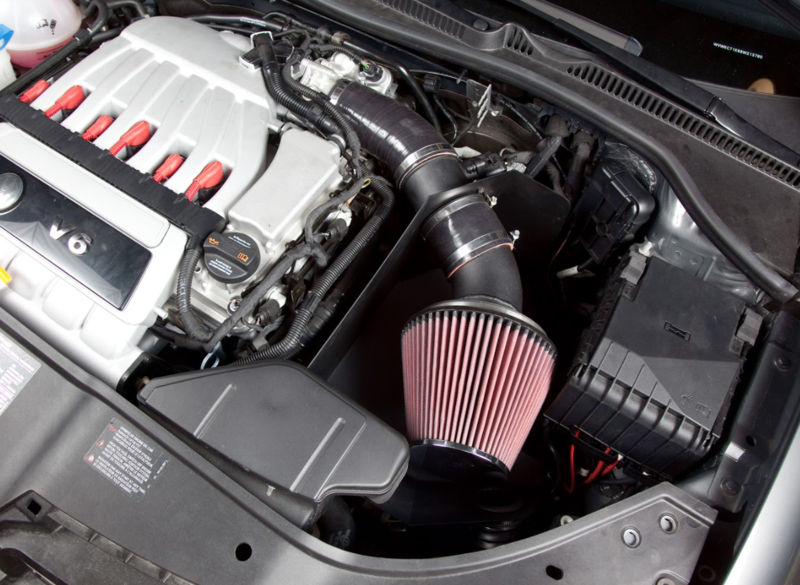 Designed to improve air intake for better throttle response and increased power, HPA's Velocity Sport Cold Air Intake has been thoroughly tested on the Superflow AWD dyno, to produce a consistent 10 HP and 8 ft/lbs of Torque over the stock air box on an otherwise stock engine. The performance of HPA's Velocity Sport CAI is largely a result of the integrated 6" bell mouth velocity stack which streams the turbulent air resulting in radically improved air speed into the engine; giving a "ram air" effect. When combined with a performance chip, gains of up to 20 HP have been achieved. 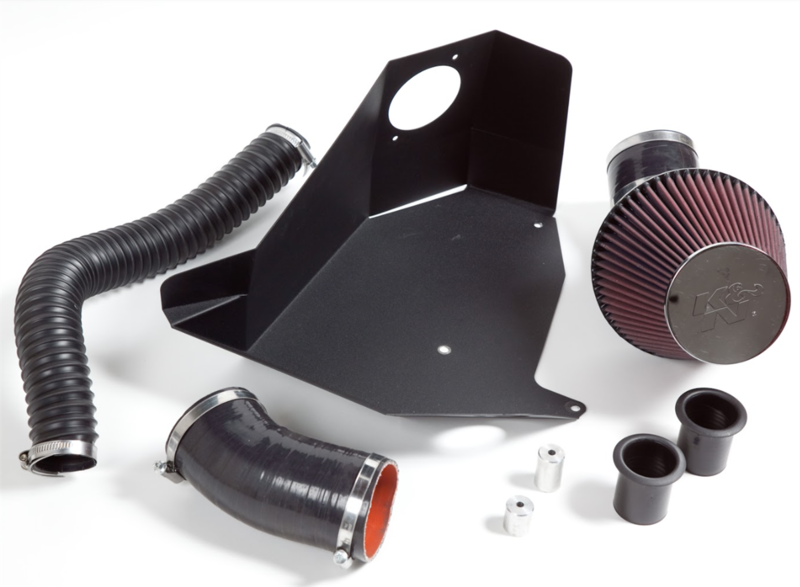 This kit features a CAD developed, laser cut, and powder coated steel air box to shroud the filter from the ambient heat of the engine bay. Above and beyond the standard air pickup, HPA includes auxiliary ducting with a flange to mount to the factory lower bumper grille to direct additional fresh cold air up to the air filter. The K&N cone filter supports 580 CFM allowing this application to service both naturally aspirated and Forced Induction applications. Complete kit uses high quality 3-ply silicone couplers and includes all clamps and mounting hardware.